What colors will change your emotions? Studies have proven that certain colors affect how we react to daily things in life. This is especially true in business. 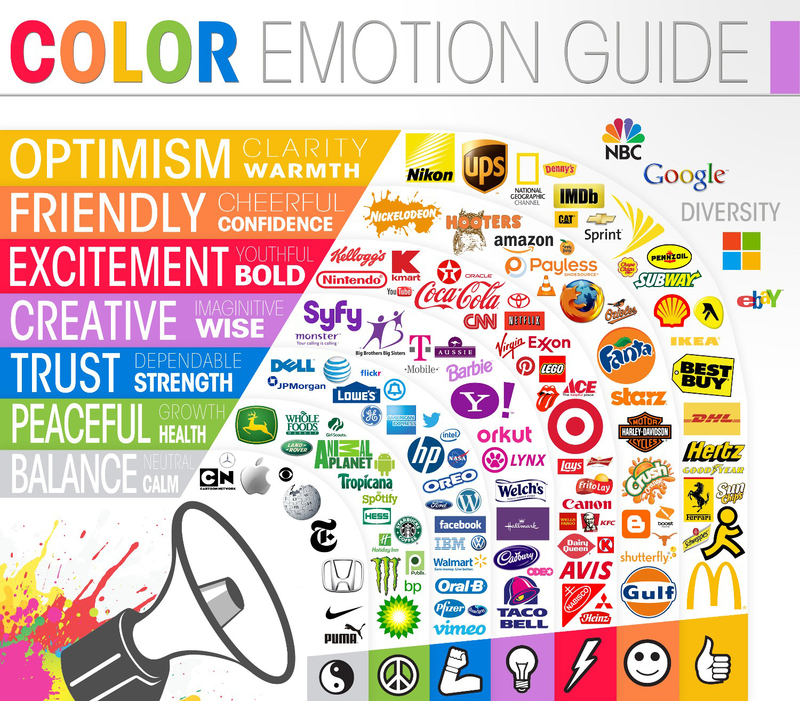 For decades companies have been using color to make your emotions feel good or sad about something. We see this in all industries–your doctors office, a lawyers office, retail stores, food/grocery stores, movies and even your bedroom. We all buy products off the shelf because they have a certain appeal to your emotions, and hopefully you wanted that product! Color plays a big part in our lives and it can have a strong influence on your emotions. For example, why do many companies use “blue” for their company logo? According to the chart below, and from research, it depicts TRUST, STRENGTH and someone being DEPENDABLE. And in a doctors office you would see soft blue colors and greens to calm a person so they don’t feel anxious, or worried. Law firms are known to use green for the same reasons. If your company is thinking about re-painting the interior, look closely at the “Emotion Guide” and ask yourself, how do I want my customers to see us–Strong, Bold, Creative, or Optimistic. You could actually control (to a point that is) an environment when you have customers enter a room. Many companies will paint each room a different color to create the mood/emotion they want their customers to be in when discussing business. 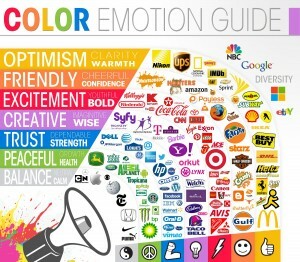 I hope this Emotion Guide helps you in your business. I know I’m still trying to figure out if a striped wall using red with a warm yellow will give the impression of a Bold and Optimistic company. Your thoughts? Colors that have an Impact! Comments Off on What colors will change your emotions?